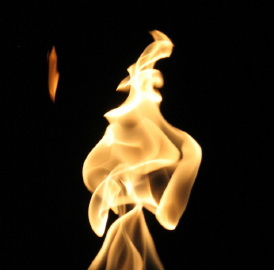 As we prepare for the summer solstice on June 21, we call on goddesses of fire to share their passion, vision, and joy. We will rejoice in the summer colors of Earth and let the spark of justice burn bright as we live joyfully and work for social change. All are welcome to join the circle, in the WATER office or by phone, as we explore our monthly themes together. Once you register, you will be sent a dial-in number to call in. Your usual standard phone rates apply. For those who come to the office, WATER will be open at 7 PM (ET) for tea and conversation. The WATERritual will commence promptly at 7:30 PM so please be here by then. We will conclude by 8:30 PM. Parking is free in the garage behind the office after 7 PM. The front door of the building has a phone entry system; dial 0310 and we will buzz you in. For more information on how to get here by car or public transit, visit WATER’s website.